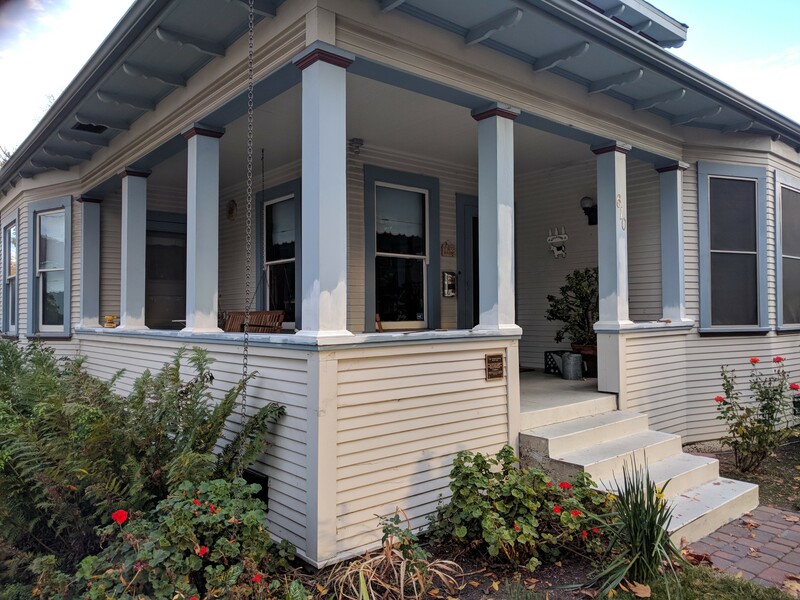 This afternoon, under the watchful eye of Maggie, I started the tedious process of cutting the crown moldings for the front porch. 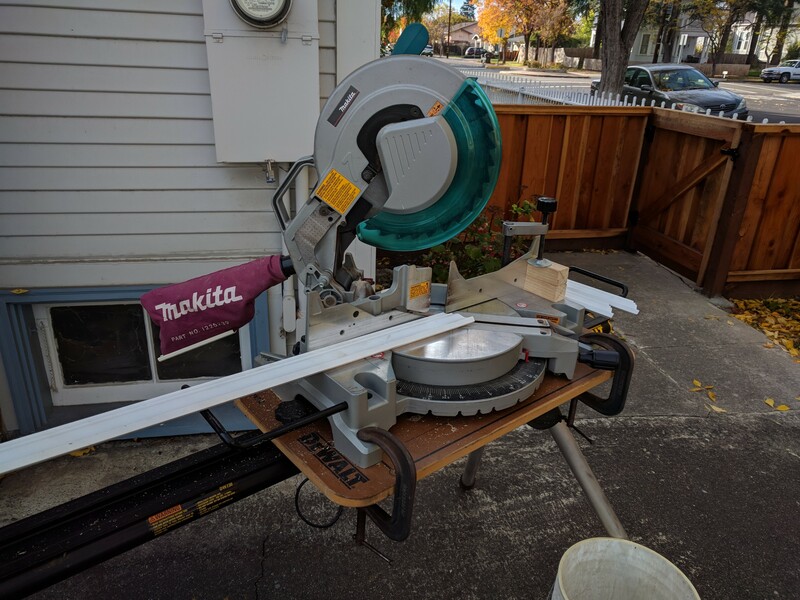 After a bit of measuring, more than twice, and making sure that my fingers stayed clear of the whirling saw blade, all the pieces came together. 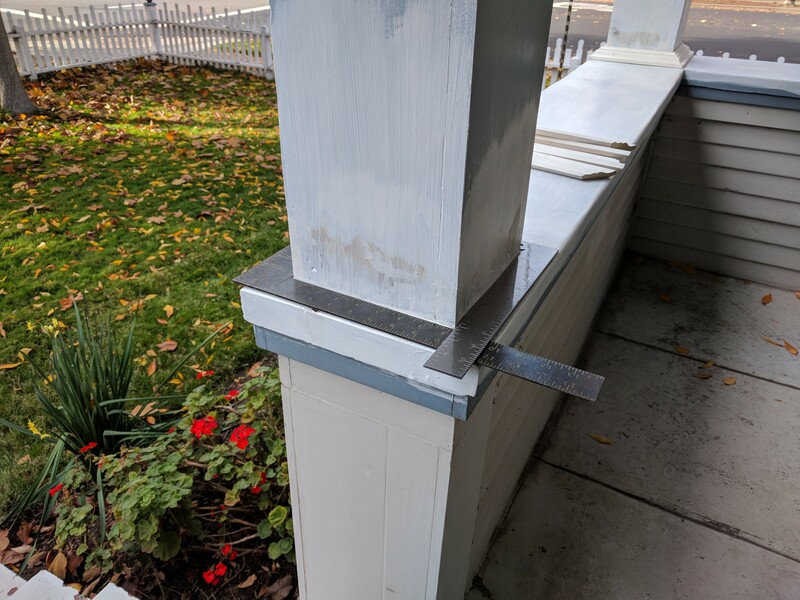 After 109 years the original boards that make up the columns have cupped and crowned making an edge measurement close but not good enough for a quality fit. 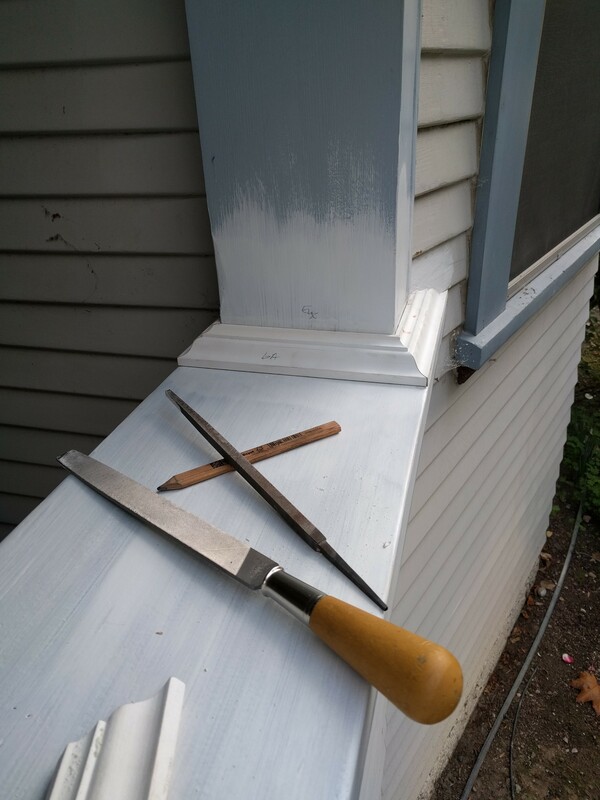 I have a tremendous respect for the original carpenters who used only hand tools to cut and fit the crown moldings back in 1908. 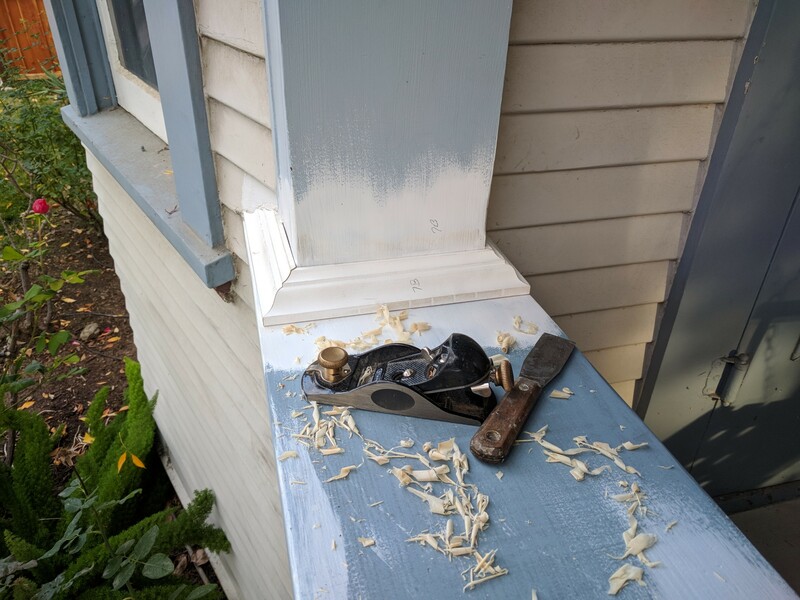 For two of the pieces I had to resort to a backsaw, block plane, and taking my time to fit the crown molding with the angle of bay window and siding. The other end of the porch required yet more tools to get the fit just right. By the time I finished with all the cuts, each piece was marked as to which column and side it belonged. 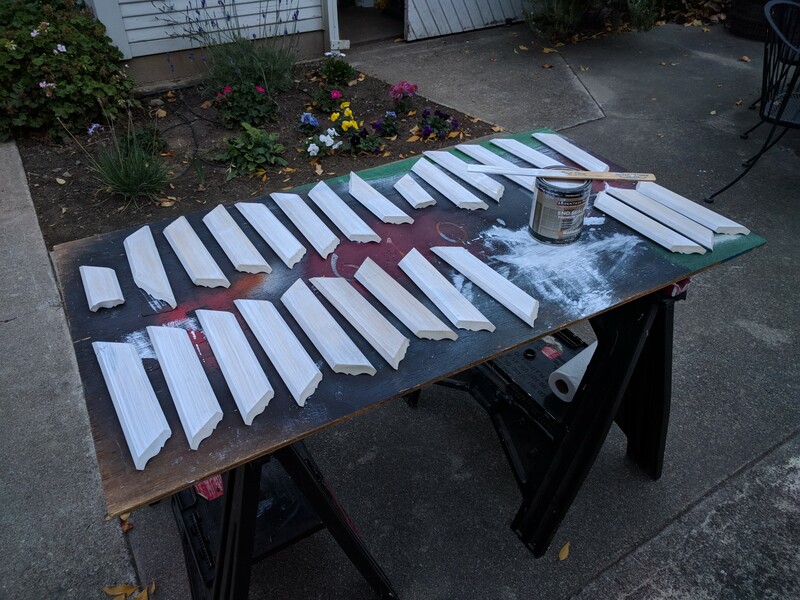 I then put the tools away and gathered all 26 pieces of crown moulding and applied the first of two coats of an oil based primer that was recommended by Apple Blossom Molding & Millwork where I purchased the materials. All-in-all a great way to spend the afternoon.